In the game, players take turns putting golf balls into the mouth of a motorized plastic alligator that was powered by two C-batteries. If the ball goes into his mouth, the gator flips it back out and then spins into a new position for the next putt. The first player to successfully sink four putts wins the game. 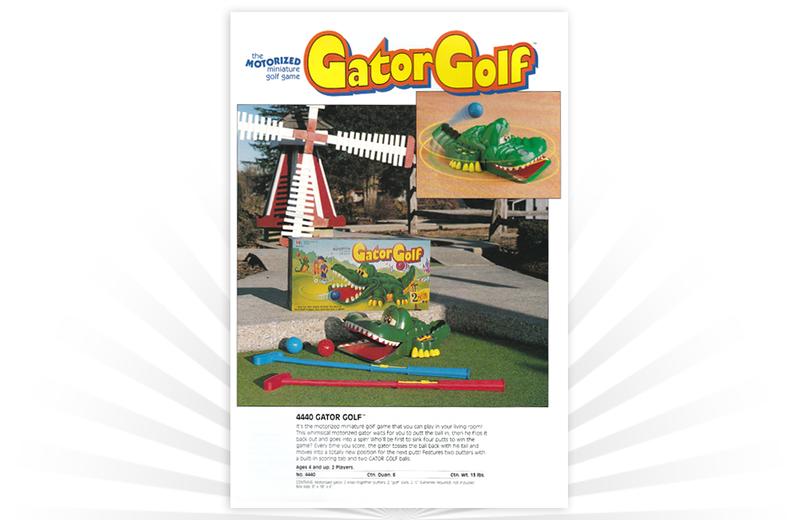 In addition to the motorized gator unit, the game included two golf putters and two plastic golf balls in red and blue. Each putter was also equipped with a sliding score-keeping mechanism. "A real electronic missile base."